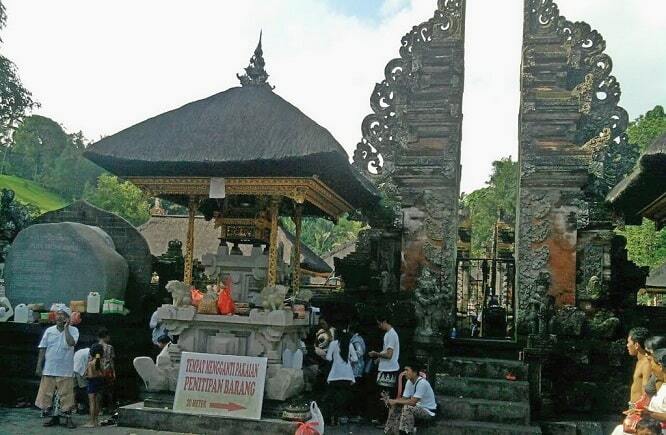 "Tirta Empul Holy Water Temple is a very popular destination in Ubud, Bali. Have you ever wondered what would happen to you if you dipped your feet in the �holy water� at a place like Tirta Empul holy water temple in Bali? Would you be transformed? Or is it just ordinary water?" The Pura Tirta Empul is a Hindu temple on the Indonesian island of Bali. This was built in the year 962 during the Warmadewa dynasty. The temple is known for its sacred water from a nearby source, which is used for cleansing rituals. The name "Tirta Empul" means "crystal clear stream", which signifies that it is used as holy water for religious ceremonies. You can find the temple complex Tirta Empul (Temple of Holy Water) just north of Ubud, about 40 minutes drive from Ubud, at the village Tampak Siring. The entrance is marked by two wing-shaped pillars, a traditional split gate. Once inside there are several shrines and a large room where you can rest a moment in the shade. The temple is a replica of the old, original temple, but you don't notice this, when you visit this famous temple. The temple was built in 962 according to an inscription. To this day this replica is a very important temple. The source feeds several pools and ponds. So you have a source of water around, where the Balinese people washes to clean themselves in several pools. Another spectacular pond is a carved stone basin with crystal clear water, where koi fish swim. From all over the island they come here to immerse themselves in this holy water. Sometimes they take bottles of water home. 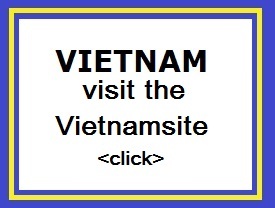 Also tourists can free immerse themselves in one of the three clean, public pools. The sacred spring has according to the Balinese healing powers. Thus The Balinese people go once every year to Tirta Empul here to bathe. According to legend the source is created by the god Indra. When his forces were poisoned by Mayadanawa he drilled a hole in the ground to make, which then would arouse his forces. This hole with water is the fountain of "immortality" with healing powers. 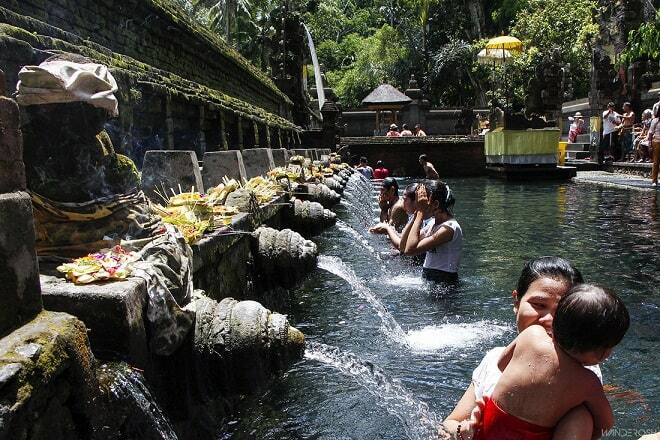 The people cleanse themselves in the holy waters of Tirta Empul temple to their health and happiness. The crystal clear water flows into another lake, which is protected by a wall. According to tradition, that pool is the Balinese fountain of eternal youth. Anyone who wants to enter the pool must wear a sarong. These can be obtained from the entrance of the temple. You are welcome to cleanse you. Women need a T-shirt and a sarong. Take a towel, if you're interested and if you want to take a bath, because there is no dressing room. There is a dress code, and people who do not adhere, will be refused. 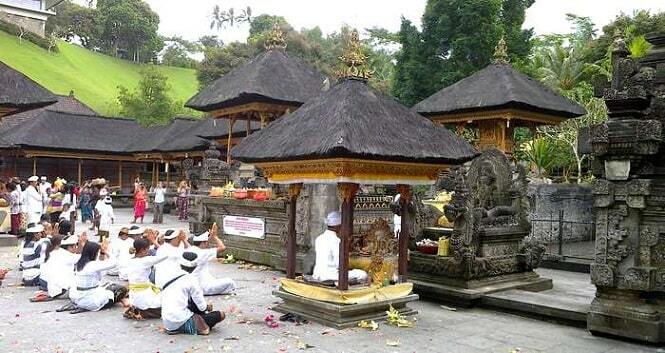 Water is very important in Bali and is used in almost all ceremonies and rituals. The waters of Tirta Empul is considered very sacred because of the magical, healing powers, which would the water contains. The geyser was created by the god Indra. All the water that is used in cremations in Bali comes from here. On the mountain close to the temple in 1954, the government built palace. This was originally a residence for Dutch officers, but later this place was chosen as his residence Sukarno (former President of Indonesia) during his stay on Bali.